We are very happy with our new Roller Shutters. I never wanted them on the front of the house (my husband did) as I was worried about how they would look, but after careful consideration we went ahead. Now I think they actually enhance the front as you can see from the photos. Our room is darker and quieter at night and we’re looking forward to being cooler in summer and warmer in winter. The OzShut shutters seem to be a superior product than others we have looked at, which was made evident by our salesman Marcelo. 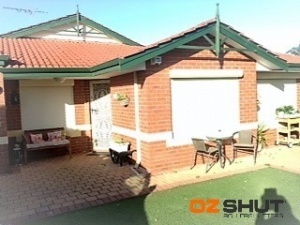 We couldn’t believe how quickly they were installed, thank you OzShut.